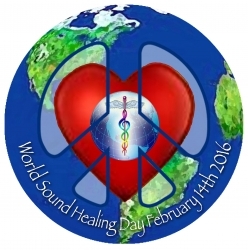 The 14th of February is World Sound Healing Day. As we heal ourselves, we heal the planet. As we heal the planet, we heal ourselves. Join 1000’s of people worldwide sounding the AH sound on this day with the intention of bringing peace and healing to our Mother Earth. Sound coupled with intention provides a truly powerful avenue for healing. Sound healing is a powerful healing modality, as it bridges the non-physical (the unseen spiritual worlds, primordial intention, loving energy, and Source) with the physical; the sound wave vibrations become carriers through air and matter, into our auric fields and physical bodies. Sound healing is a healing transmission that we receive in our physical bodies (which is important, because it’s in the physical realm that we experience our life and the world). 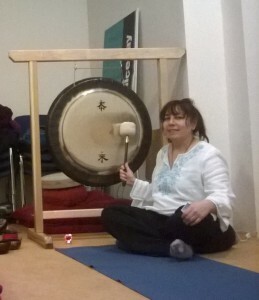 Our bones, organs and the water in our bodies resonate with the healing vibrations that are divinely guided, and broadcast during the playing of the gong, drum, voice and other instruments. Together we will be sounding forth for 5 minutes with an “AH” encoded with the energies of love and compassion. Together we project a “Sonic Valentine” to our Mother Earth that helps in assisting the healing of our planet! Then we will start with grounding exercises and movement, to help us come more into our bodies and to raise energy for our healing. Then there will be a shamanic drum bath, where the nourishing and supportive energies of the earth and spirit will be channelled through the drumming and vocal toning. After the drum bath we’ll have some gentle movement to integrate the experience, and to transition us to the gong bath. The gong bath (with the two beautiful symphonic gongs) and other therapeutic instruments will take us into a state of deep relaxation as we touch into primordial being through the doorway of sound. After the gong bath will be a grounding integration, and an opportunity to share your experience and ask questions. 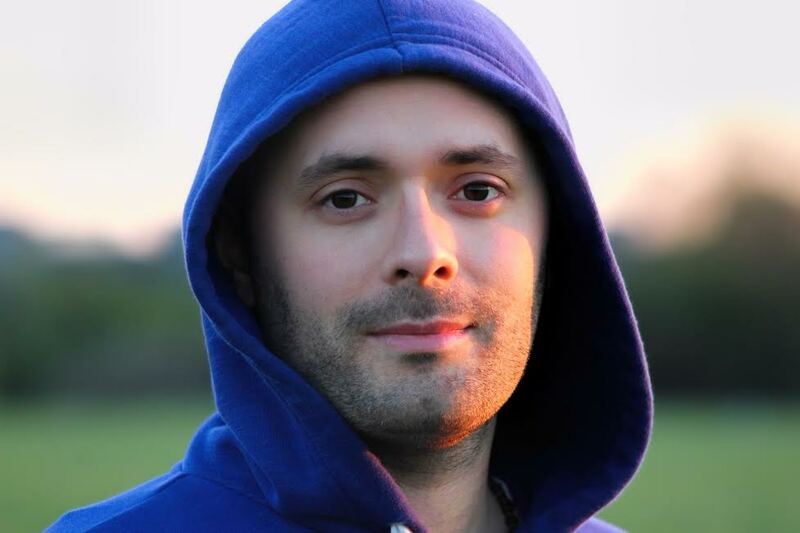 Odette and Justin have co-organised and collaborated on various events including London events for Masaru Emoto, Tone of Life, Don Conreaux and Patricia White Buffalo, and are thrilled to be offering their first joint co-created sound healing bath! Wear loose comfortable clothing. Please bring water, a yoga mat or similar, a blanket or sleeping bag and cushion or pillow for total relaxation and warmth. Body temperature can drop rapidly during the gong bath. We have a limited number of Yoga Mats at the venue but not enough for everyone! Please arrive by 2.20pm for a prompt 2.30pm start when the doors will be locked. Sorry! No refunds for late attendees!